Pop Goes the Classroom is an innovative support for educators mostly serving intermediate grade school, middle and high school students. That’s not to say ideas can’t be used with younger kids, after all I’m an early childhood specialist currently teaching 1st grade, its just that its more difficult to find pop culture that can be used that doesn’t distract the littles from the learning goals. If we can learn to speak this dialect, we can build meaningful relationship with the kids we serve. Meaningful relationships will intern result in higher student engagement and more meaningful learning. So what is pop culture? Well there is quite a bit of disagreement over the definition. I can say this. Pop culture is usually arts based. Pop culture is movies, music, television, comic books, video games, table games, etc. All of these activities have one or more art forms in play. For this reason, here at Pop Goes the Classroom, we see our work primarily in the role of STEAM integration. So check out some of the old postings, or just read the new ones. There are lots of ideas to be had. We are pleased to announce a new addition to our team. Welcome to Shelbie Cline. She replaces Geri Crouse who has moved on to new exciting experiences. Shelbie is a calligraphy artist and gentle craftswoman with many gifts to share. We are just finishing up our third and final camp for the Summer 2017 season. It’s been a summer of fun and discovery. There were so many times when STEM and Arts/Humanities were so interwoven you couldn’t distinguish one from the other – as it should be. This meant that we needed to highlight the STEM learning in the arts experiences in a way that fostered scientific thinking. I want to revisit some of those experiences with you here today. Our first camp this season was Summer at Hogwarts. On the first day the youth constructed their student wizard hats. This was an excellent opportunity to introduce them to terms like circumference, diameter, radius, and pi. Those who were interested in the challenge were given the formula for circumference to see if they could determine the diameter of their circles. They then used this information to create their student hats. 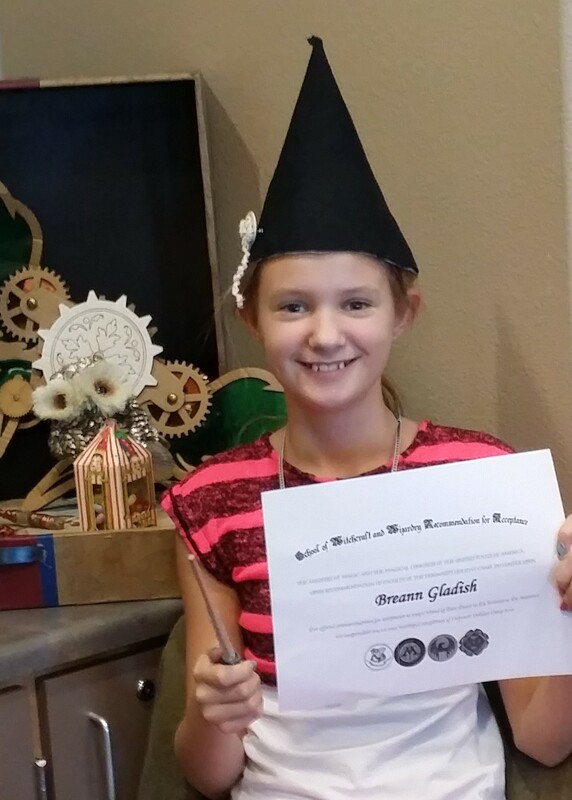 To the left is a picture of a proud candidate who created her student wizard hat and wand. Wands were an opportunity to introduce chemistry. Hot glue gave us an opportunity to have a discussion about adhesives and the polymers used to create hot-melt adhesives. The adhesive discussion would come up multiple times throughout the camp with the hot clue being a reference point. The highlight of any Hogwarts/Harry Potter camp is the potions demonstration. A seasoned actor can make the science demonstration magical allowing children to suspend their disbelief as they make divination balls and see frozen dementors’ breath scream. We could simply allow the performance art experience to stand on its own but where would the STEM be in that. Instead, after the performance, before the hands on experience we challenged the kids to use their scientific thinking. What might this be in the muggle world? Then come the educated guesses. Then the discussion about dry ice being frozen CO2, states of matter, etc. We didn’t detract from the arts experience, we simply discussed the science with intentionality during the the debrief. Our next camp was Super Hero Invention Camp where we used the gadgeteers of the super hero world to discuss engineering habits of the mind. We highlighted how characters like Tony Stark were engineers who used their skills to create their super hero personas. We looked at how Tony’s character identified his problem – Tony had shrapnel in his chest and needed an electromagnet to keep it from getting to his heart. His current electromagnet was being powered by a car battery. If Tony was going to escape his captors he needed something that could help him that woul dn’t be so heavy. Tony used his resourcefulness to find a solution-he made a mini arch reactor based on his knowledge of building a large one back home eliminating the need for the car battery. 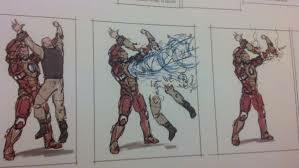 After reflecting on his new invention he realized the battery could power other things –Tony adapted the battery to power a super suit to help him escape. The kids were focused on the art and story of Ironman, however with intentionality we were able to introduce them to concepts identifying a problem, using creativity and ingenuity to come up with a solution, to reflect on the solution and adapt it to other purposes. Our final camp of the season was Under the Sea. 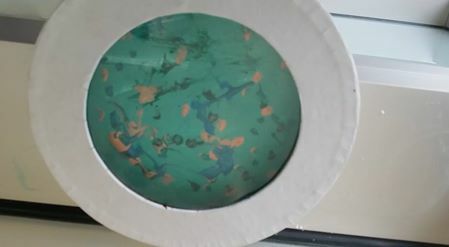 Here you see a port hole project that incorporated the scientific knowledge they had learned over the course of the camp to create an acrylic and tempera paint art depiction of a coral reef. 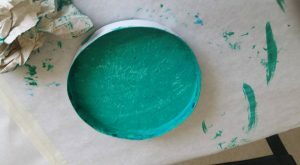 The children mixed colors, explored pigment, and used bamboo skewers to create the final result. STEAM is everywhere you simply have to highlight it. The story is well written, the pacing is good, and the characters have great arcs. This film is an origin story framed as a flashback. We see Diana Prince in present day and we see her childhood on Themyscira. It has some elements of a coming of age film as Diana’s wide eyed optimism for her duty is crushed against the reality of war. From a classroom perspective, this film does for World War I what Marvel’s Captain America origin story did for World War II. It gives you that prior knowledge that can be used as a springboard into the complexities of the time. You’ll see many commonalities between Captain America and Wonder Woman including strong characters both male and female. There is a real place for compare/contrast work with these two films. Wonder Woman also opens the door for lessons on the mythology and the Amazons. This film is worth your entertainment dollar without a doubt. It’s always nice when it can be used as an instructional tool as well. It looks like you are all getting excited for the awesomeness that is Phoenix Comicon. We’ve been getting the inevitable questions about what education track programming will look like. The short answer is “we don’t know” but we are looking forward to seeing what the new team has planned and are confident that it will continue to be awesome. For those of you who may be unaware, Pop Goes the Classroom is no longer involved in the planning and presenting of programming at Phoenix Comicon and its all good. We started our collaboration with Phoenix Comicon seven years ago and our founder, KellyAnn Bonnell worked with Phoenix Comicon to develop their educational track for six years. 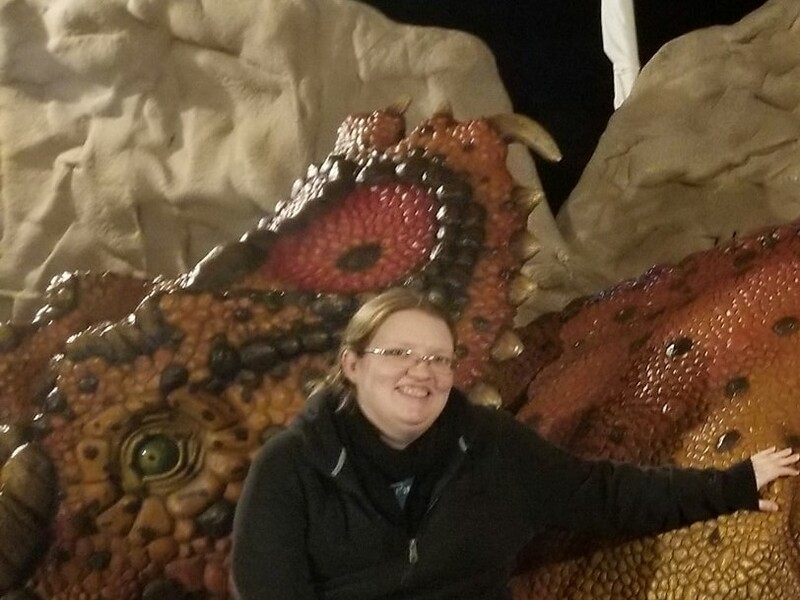 Last year at the end of the convention, she decided it was time to “send her baby to kindergarten” and passed the baton to the Science Track Program Manager. The education track has solid programming and an excellent home with Science. We’re looking forward to the new blood the transition will bring this year. This year Pop Goes the Classroom has partnered with Westercon which will be held in Tempe, July 1-4, so now you’ll have two opportunities for PD this summer! There are few characters in American Pop Culture as iconic as those created by Theodore Geisel, better known as Dr. Seuss. From Horton to the Lorax, the characters and their stories, have captured the hearts and minds of children across many generations. However Dr. Seuss books are more than simple entertainment. They introduce important concepts and phonics skills to early readers. This makes Dr. Seuss books a staple in almost every K-3 classroom in the country. Dr. Seuss is so beloved by teachers that the National Education Association chose his birthday, March 2 as Read Across America day and March is literacy month. 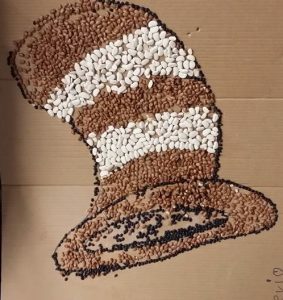 We at Pop Goes the Classroom take the celebration of all things Dr. Seuss very seriously. Last year we hosted the “Get Caught Reading After School Challenge”. We didn’t get as many pictures of reading with goats as we would have liked. 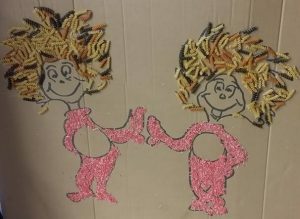 This year we took a little bit of a different tack and worked with kindergarten students at a Title 1 school to create mosiacs. We used beans, rice and noodles to create images from the beloved children’s classic “The Cat in the Hat”. It’s always a challenge to incorporate pop culture in meaningful ways in the Kindergarten and First Grade Classroom. The shows young kids identify with can lead to a whole host of behavior problems that can be eliminated by not introducing the characters in the classroom. However, if used correctly, pop culture can become a powerful reward for kinder and first grade students. Right now I’m using the Jumping ABC Song to help them find steady beat. Now none of this is particularly pop culture related unless you count the idea of helping kids use Youtube for nonfiction explorations. Then we move into the regular lesson plans. Using pop culture as a reward for being on task is a powerful incentive. It is something children look forward to and work toward and is a healthier option than a treasure box. As teachers return to classrooms in January, OST professionals are brushing off the glitter from holiday break camps and shifting their thoughts to spring break camp and summer camp. This winter break, we at Pop Goes the Classroom, went to Hogwarts for the Holidays and we had a great time. Wand making is such a great maker experience for kids who are neck deep in the Harry Potter stories. And with the help of our polymath Jenn Czepiel we’ve discovered that basic fencing stance and moves work well for wand techniques during defense against the dark arts classes. These kinds of camps are all about the costumes and props. It’s about knowing who Headmaster Bonnell is in the world of Harry Potter and understanding the easiest character to create is yourself. My wardrobe is carefully selected for days at Hogwarts camp. The right black dress, the right hood, the right hat. They lend to the experience for the kids. It’s about the armor and the potions kit and the magical owl. It’s the movie soundtrack in the background. The little things make such a difference. On November 10, 1969 Sesame Street premiered on American television. Its curriculum had been piloted right here in Phoenix at Arizona’s oldest child care center, Phoenix Day. It was an innovative idea that children could learn watching a television show. By the 1970’s 1/3 of America’s preschool children were watching the show and learning. They learned how to count. They learned the alphabet. They learned about friendship and tolerance. 2016 launched its 46th season. In many ways, Sesame Street is the reason programs like Pop Goes the Classroom can and do exist. Three generations have been raised learning through popular culture. Intentional high quality program that ensures that there is something to learn. It is a model that started with public television and transferred to children’s television channels like Disney, Nickelodeon and Cartoon Network during the hey day of cable television. Today we see the same approach being used across all media platforms. Thank you to Joan Ganz Cooney. Thank you to Children’s Television Workshop. Thank you to Sesame Street and Phoenix Day. You’ve laid the foundation for the work. We are proud to take the torch and carry it forward. After discovering just how much kids are drawn to non-fiction digital content, research firm Insight Kids shows how marketers and content creators can get in on the action. Lose track among the digits? That’s more than five billion, also known as the number of views, as of this writing, for tutorial videos posted by stampylonghead, YouTube’s reigning Minecraft monarch. Stampy’s videos are funny, informative, and comprehensive. They give kids everything they need to become experts in an area that they are passionate about. Yet Stampy’s videos are only one infinitesimal speck in the non-fiction video universe online, a universe very much fueled by the curiosity of kids worldwide. Because kids are in the throes of a non-fiction addiction right now. In a nutshell, it’s child-directed learning, where kids are in control of the pace, content and format of their explorations. Building on the school-based trend of child-centered learning, kids fully take the reins outside the classroom via their personal laptops, tablets and phones. The interfaces are simple to use, and parents generally let kids roam and choose as they please, within basic parameters of appropriateness and safety. So what does this non-fiction look like? Non-fiction that kids engage with takes many forms, going beyond watching YouTube videos to searching on Google Maps and Google Earth, exploring Wikipedia, and asking Siri the answers to questions that come up at the family dinner table. Common video formats offered up by companies include tutorials, reality programs, ads/trailers, behind-the-scenes footage, music videos, “making of” content and cast interviews. What’s on My iPhone? – These are people literally showing what’s on their phones, including cases, background images, photos and apps. Variations include “What’s in my purse?” and “What’s in my backpack?” Product-makers benefit from this user-generated marketing. Model Amanda Steele declares this her “most requested video ever.” Like, wow. Unboxing videos – Hugely popular, these videos typically simply show a pair of disembodied hands, often with elaborately fun nail polish, opening a toy package and displaying and describing the contents. This video from FunToyzCollector has more than 37 million views. Surprise eggs – Related to unboxing videos, these tend to focus less on the details of the toys and instead on just seeing the toy itself. They also tend to feature kids. They show homemade, large, wrapped “eggs,” kind of like piñatas, that have packaged toys hidden inside. This is a Star Wars surprise egg video from Awesome Toys Collectors. May the force be with the parents who let their kids keep all the toys from the videos they make. Pranks – These take two main forms: (1) instructional and (2) observational. Kids can learn how to do basic pranks. And they can also see the (arguably hilarious) results of pranks. Many of these are inappropriate for kids. In exploring these sub-genres, many adults are hard-pressed to understand why kids like them. They certainly help illuminate the differences in sensibilities between today’s kids and grown-ups. Continue with this article here.